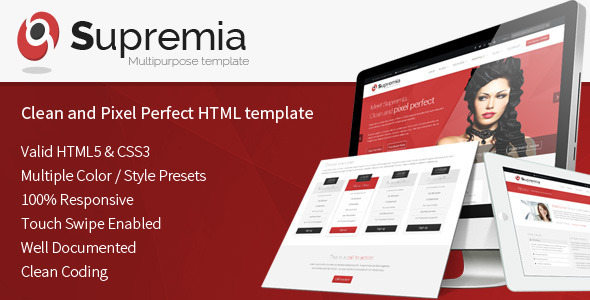 Supremia is a clean and modern HTML5 / CSS3 website template that looks beautiful on any device (fully responsive). It can be used for any kind of website: business, corporate, portfolio, marketing, etc. Code is easy to understand so it’s quite easy to personalise it. Important Note: The images used on the Live Preview are for demonstration purposes only and are not included in the download file. If you need support on your purchased template contact me via the themeforest contact form. If you like this item please rate it.